It’s late on a Friday afternoon (early evening, but who’s counting) and I’m overcome with the urge to blog yet again. 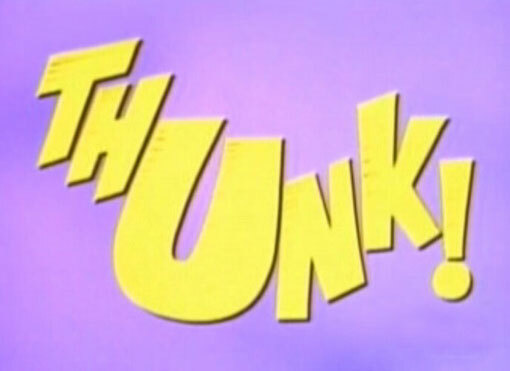 Still images of the onomatopoeiac on-screen graphics from the 60’s Batman TV series. 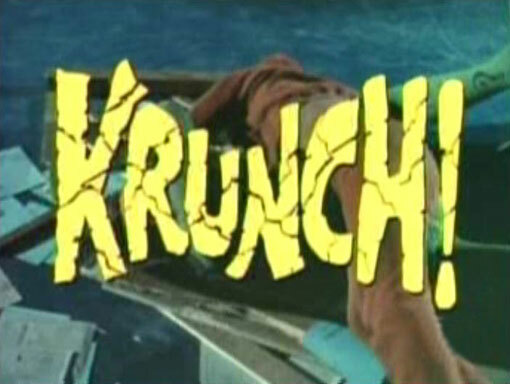 You know, the ones that said Krunch!, Thunk! 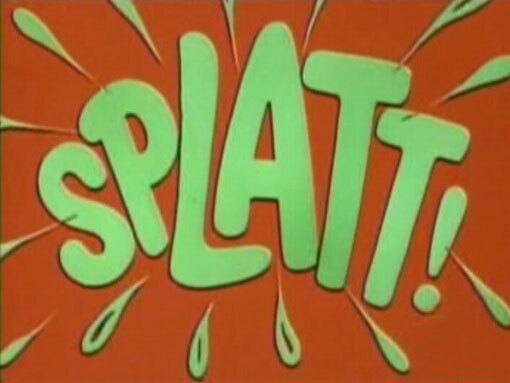 and Splatt! in appropriately tehmed and colored fonts. Sure, it’s Argentian, but the the language of Bat-violence is apparently universal. 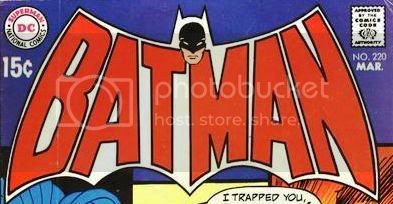 Purely logos of from the masthead of the Batman comic book. 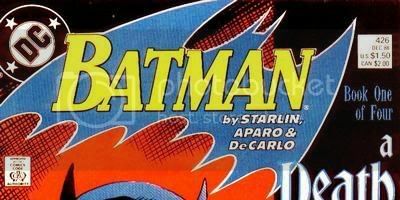 I’m sure there are even more versions of the chevron from his costume as well, and maybe even more iterations of the Detective Comics masthead as well. Still, cool from a design and historical perspective. I’m a fan of the early 70’s version and the late 80’s version. No pictures here since I’m lazy. Click for yourself and see!